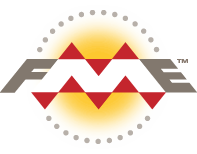 Use FME to create automated workflows that move data into and out of the E00 format. More than a straight format translation tool, FME enables you to transform data’s contents and structure to fit the model of the target system. By creating clear paths for data to flow from source to destination its integrity and key details are preserved for optimal results. Transformation workflows run without manual interference and can be reused for future E00 conversions, saving you time and improving your productivity. The ArcInfo Export File format is an interchange format developed to facilitate the transfer of data between the various geospatial types of different Esri systems. FME lets you integrate many applications and file formats. Here are some of the ways our users convert Esri ArcInfo Export (E00). The table below outlines how Esri ArcInfo Export (E00) is supported by our different FME products, and on which platform(s) the reader and/or writer runs.